This report is segmented Product (Wound Dressings, Active Wound Care, Therapy Devices, and Other Advanced Wound Care Products), Wound Type, and Geography. The advanced wound care management market is mainly driven by technological advances, ageing population, problems associated with ineffective traditional wound healing methods, initiatives taken by the government, and a pressing need for swift and safer treatment of chronic wounds. The growing prevalence of several lifestyle disorders leading to chronic wounds, such as diabetic foot ulcer, venous leg ulcer, and pressure ulcer is one of the key factors estimated to encourage the growth of the advanced wound care management market in the coming years. 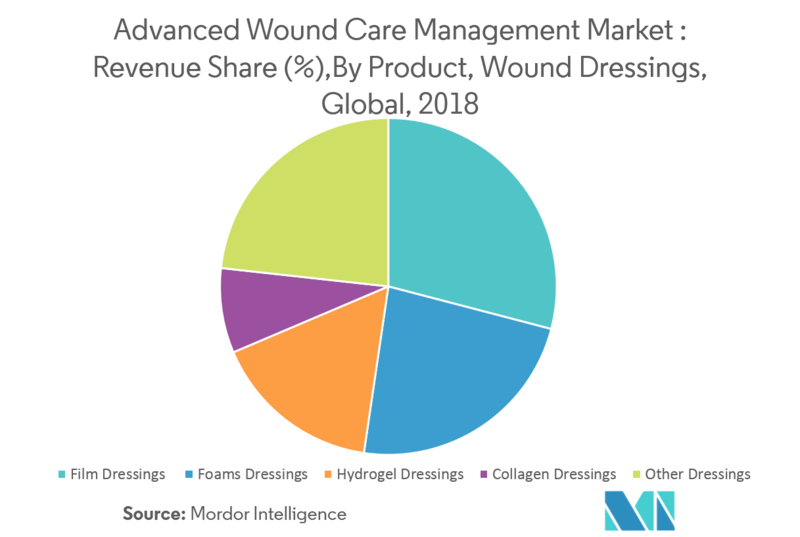 Attempts to lower the duration of the hospital stay in order to reduce the surgical healthcare expenses and the growing inclination toward products that enhance therapeutic outcomes are also driving the demand for the advanced wound care management market. The high cost associated with the treatment and reimbursement issues for the new technologies serve as factors which hinder the market. Advanced wound care comprises of products that are used to treat acute and chronic wounds, such as ulcers, burns, and post-operative wounds. The advanced wound care products, such as film and foam dressings, hydrogels, alginates, and hydrocolloids keep the wound hydrated to encourage healing without occluding the wound. Advanced wound care market offers solutions to patients suffering from chronic wounds, by providing them readily accessible and reasonably priced products which can be used at one’s own convenience. 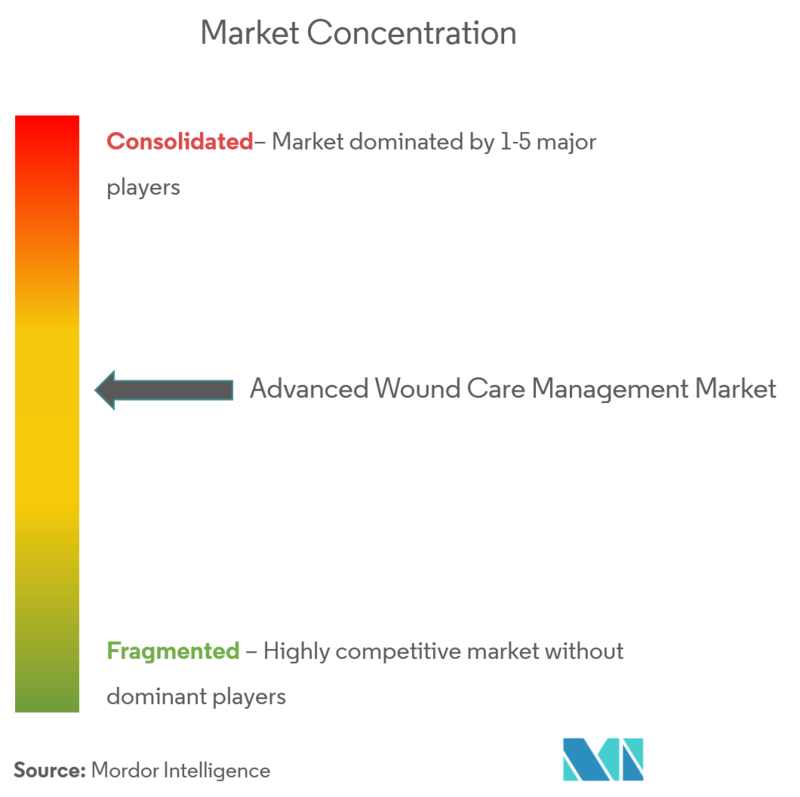 The advanced wound care management market report also covers an array of competing technologies, such as advanced wound dressing technologies, negative pressure wound therapies (NPWT), biologics/bioactive products, and hyperbaric oxygen therapy devices. Under Wound Dressings Segment, Foam Dressing is Expected to Register Robust Growth. Foam dressings are a type of extremely absorbent dressing used for wound care. Foam dressing works for heavily exuding wounds, like weeping ulcers, deep cavity wounds, and wounds caused after debridement. These dressings can be used for a longer duration of time as they have lower replacement rates when compared to other types of dressings. These are generally made from semi-permeable polyurethane. They allow water vapor to enter but keep out contaminants and bacteria. In some cases, the outer layer of these dressings may be waterproof, depending upon the need. Moreover, the ability of these dressings to be used as primary or secondary dressings during accidents or other serious cases is also expected to increase their adoption. The Asia-Pacific market, which consists of fast-developing economies has remained largely untapped. 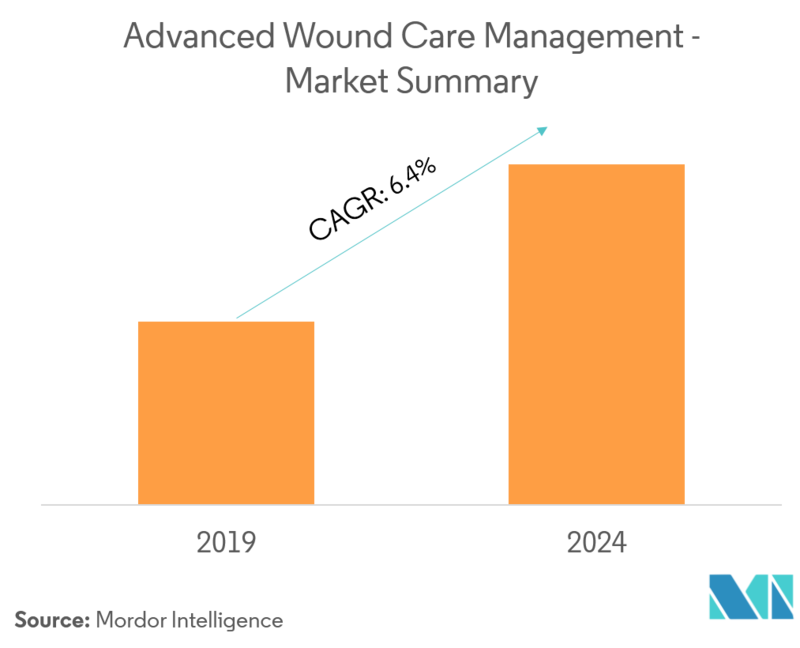 The advanced wound care management market is expanding steadily and has created abundant opportunities for the launch of new products. In terms of prospective growth potential, the Asia-Pacific advanced wound care management market is expected to witness the fastest growth. However, the lack of awareness and price sensitivity has considerably hindered the growth of the advanced wound care management market in developing countries, such as India, China, Brazil, and others. 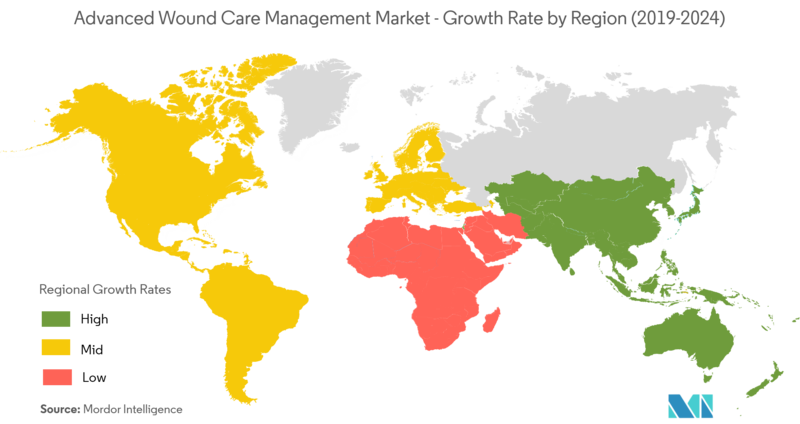 North America leads the advanced wound care management market with the largest market share in the world, followed by Europe. The advanced wound care management market is highly fragmented with the presence of a large number of players. As technology progresses and becomes more viable, the quality of life of patients afflicted with chronic wounds improves. Traditional wound care and closure products are being increasingly substituted with advanced wound care management and closure products due to their efficacy and effectiveness in managing wounds by enabling faster healing. Market players are focusing on various growth strategies in order to enhance the market presence by mergers, acquisitions, partnerships, collaborations, new product launches, etc.